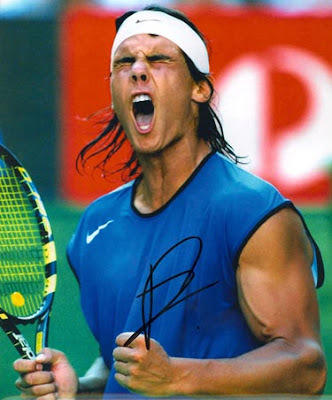 Rafael Nadal ascended the No. 1 ranking this week, ending Roger Federer's record 237 weeks at the top spot. 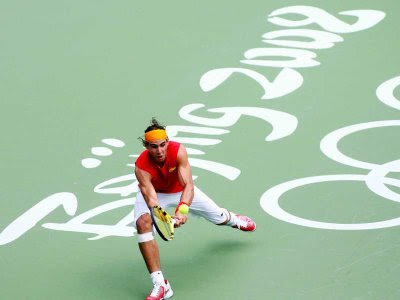 Nadal, who won Wimbledon, Roland Garros and the singles gold in Beijing Olympics this year, was Federer's No. 2 for more than 160 weeks. The International Astronomical Union approved last July the request of The Astronomical Observatory of Mallorca to rename an asteroid after tennis great Rafael Nadal, who recently won Wimbledon. The asteroid, previously been known as 128036, is 4 kilometers in diameter and travels through space at a speed of 20 km per second. It was discovered in 2003. On August 11, Jelena Jankovic will become the 18th player to top the rankings since 1975 , and the first one who never won a Grand Slam event. Jankovic, who has 6 career WTA titles, will replace Ana Ivanovic from the top spot, by virtue of having 8 more points than the latter.